Sun, salt and dust. The island life can be hard on your skin and hair. We sat down with Linn to talk about her favourite island beauty essentials. All of these products can be found in our shop in Weligama. Body scrub. Probably the first you should do after you have landed on our tropical island; scrub! 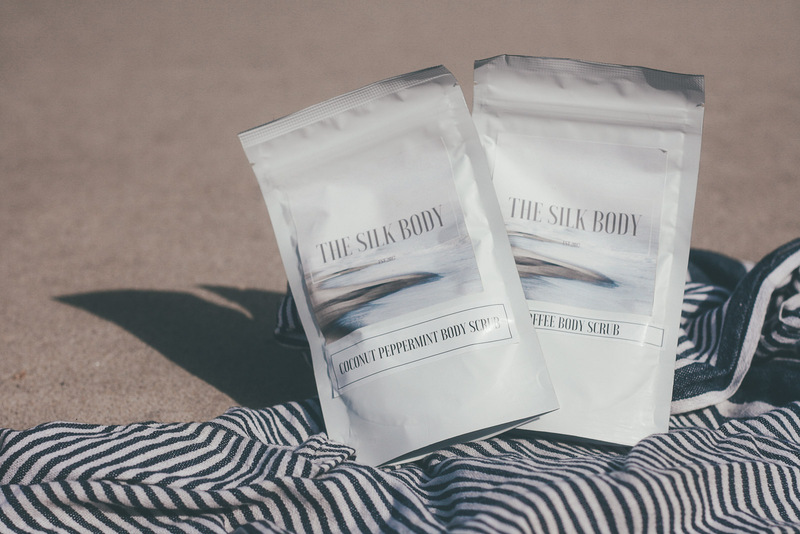 Our favourite scrub is from the Sri Lankan brand “The silk body”. It comes in four blends; Cacao, coffee, lemongrass & citrus and my personal favourite: coconut & peppermint! I usually scrub at least one time a week to get rid of dead skin cells and keep my skin soft and clean. A good sunblock. Number 1 for a healthy skin is to protect it from the sun. Especially if you spend countless hours in the lineup. We prefer Solah Zinc, which is island made, and Eq Love , organic from France. Cleanse. My feet are never as dirty as when I’m roaming around the island or roam around on a scooter. 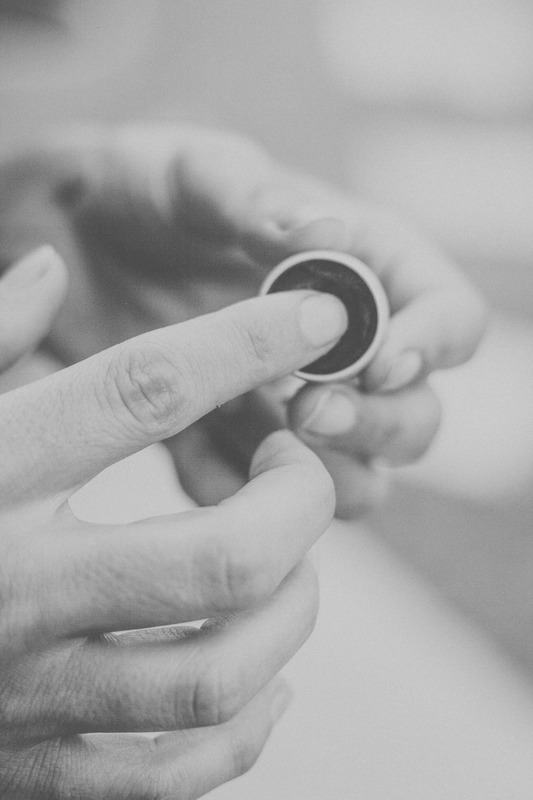 Together with Sion of Moonshadow, we have developed two soap bars. 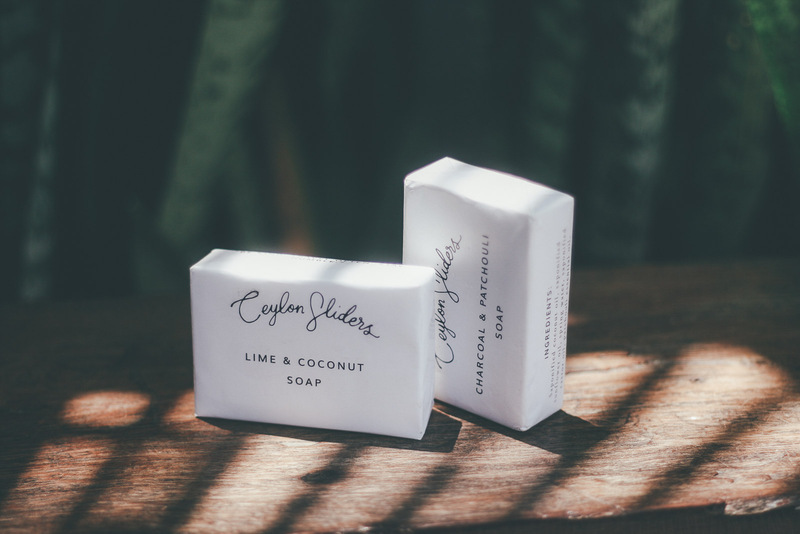 Lime & Coconut and Charcoal & Patchouli. Both of them works up a good foam and does the job well. Hydrate. Drink ALOT of water. More than you do at home because you sweat so much! Hydrate your skin too. After cleansing and scrubbing, we prefer to drench our bodies in organic virgin coconut oil from Greenfield Organic farm. Hair oil. 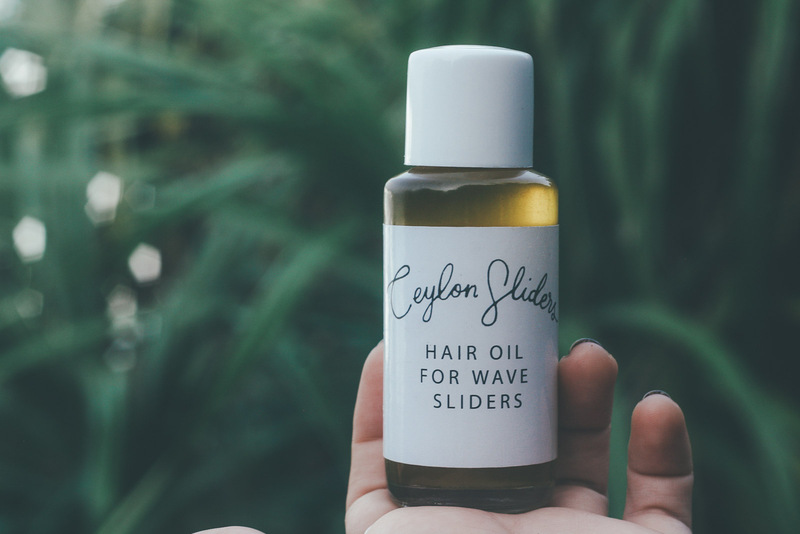 Tangled hair after hours of surf in the Indian ocean is the everyday life for a wave slider. 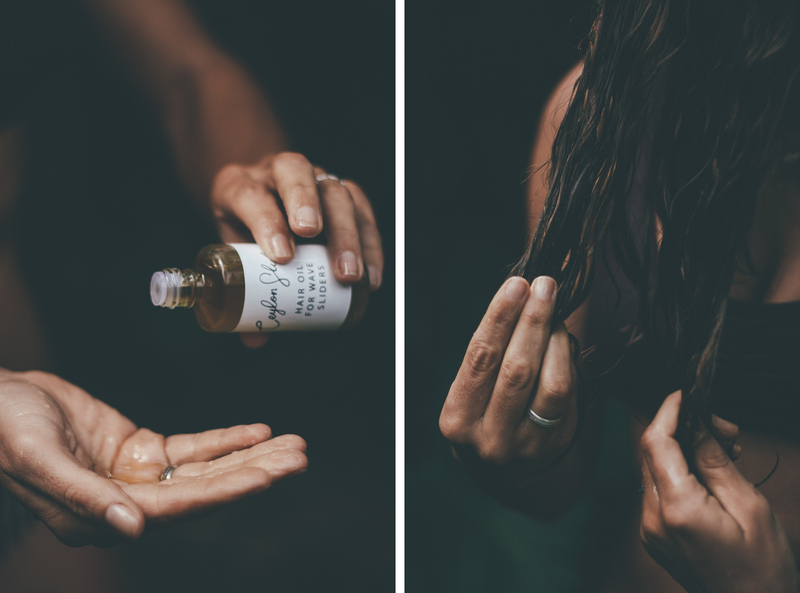 We have developed a hair oil to help you out with your curls. *List of ingredients. * Put the oil in your dry hair maybe 10-15 minutes before you jump in the shower. Shampoo and condition as normal. Face oil. Take care of your face with the oils from Skin Nectar. Comes in four different blends for different skin types. Developed by Venita who comes from a family of aromatherapists. Made here on the island!